Though it's not scheduled to hit store shelves until Friday, we got our hands on Apple's (PRODUCT)RED folio for iPhone X, a bold color option to the already fantastic case lineup. 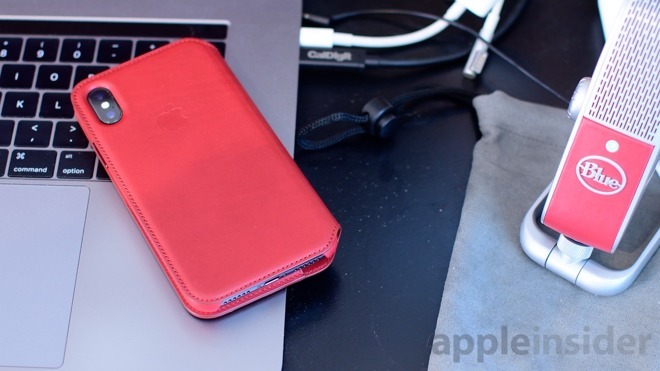 Check out our early hands-on, as well as a comparison to other (PRODUCT)RED cases. The (PRODUCT)RED iPhone 8 and 8 Plus launch this Friday, but unfortunately there is no red equivalent for iPhone X. At least not yet. 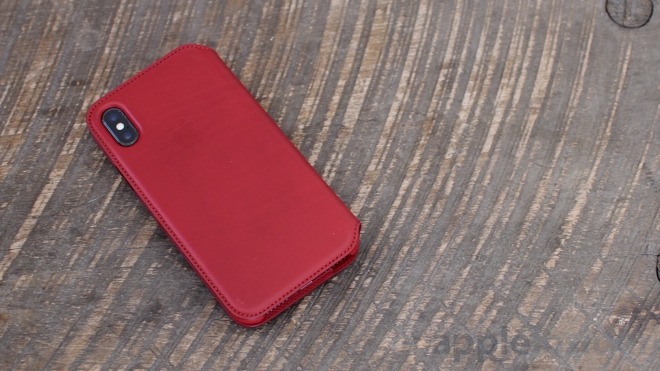 Instead, Apple is launching a (PRODUCT)RED version of their popular folio case. We got our hands on one a few days early to check out. The new folio is exactly like the others, made from a specially tanned European leather, but dyed in a beautiful red finish. One of the best features of the folio is its ability to wake and lock the iPhone X when the flap is opened or closed. Thus far, only a few third-party cases (like the SurfacePad by Twelve South) have adopted this functionality. Inside the front flap of the folio is a pair of pockets, one designed to fit a few credit cards, the other larger for some ancillary cash or business cards. We tried the original folio for a few months, and while the leather held up quite impressively over time, the material does start to stretch. We recommend not over-stuffing the pockets in front unless you are prepared to keep them that full. If you'd like to pick one up, the (PRODUCT)RED iPhone X folio is available directly from Apple for $99. Aside from the folio, Apple also makes silicone and leather snap-on cases for the iPhone X. The latter two are also available for the iPhone 8, 8 Plus, and older iPhone models. You can view all of Apple's (PRODUCT)RED accessories, which includes the cases, watch bands, and special edition Beats products on their (RED) landing page. (PRODUCT)RED Apple accessories are available at the company's online and brick-and-mortar stores, as well as third-party resellers, such as Amazon and B&H Photo. Apple donates a portion of proceeds from all (PRODUCT)RED purchases to Global Fund, which helps fund HIV/AIDS grants that provide testing, counseling, treatment and prevention programs. Since partnering with (RED) in 2006, Apple has donated more than $160 million to the Global Fund.